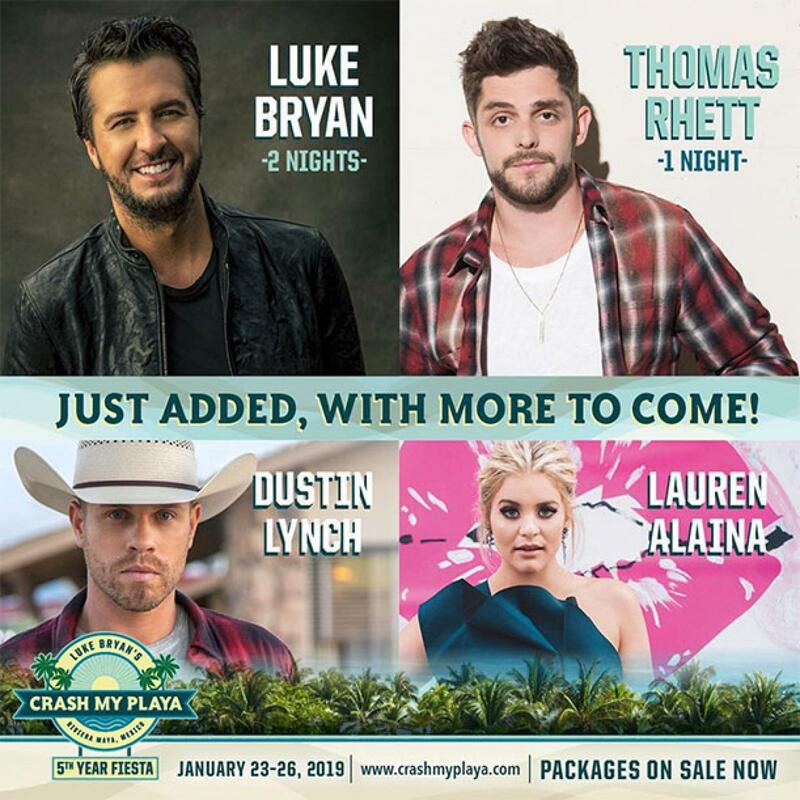 After four consecutive sold-out years, four-time Entertainer of the Year Luke Bryan, along with CID Presents, adds first wave of 2019 performers, Thomas Rhett, Dustin Lynch and Lauren Alaina, to Crash My Playa - 5th Year Fiesta set forJanuary 23-26, 2019 in Riviera Maya, Mexico. Multi-platinum selling artist Thomas Rhett will make his first appearance at the destination event headlining one of the four nightly concerts. The Caribbean beach vacation will be the best yet with the return of Platinum-selling and newly inducted Grand Ole Opry memberDustin Lynch who has played all four previous years. Multi-award winning singer-songwriter and 2018 CMA New Artist of the Year nominee Lauren Alaina will also make her Crash My Playa debut performing as part of the all-star weekend.